If you are new to the world of alternative treatments through Medicinal Marijuana, then things might look a little bit overwhelming and daunting at first because there are so many options and out there, it gets confusing for some people to find the proper doctor who might be able to help them choose the correct strain. Herbal Health System is an overall organization representing a large chain of highly skilled and helpful doctors who specialized in the field of Medicinal Marijuana. 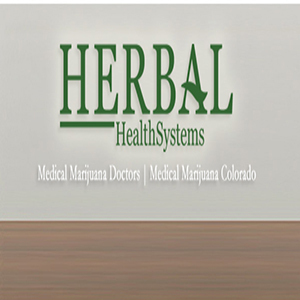 This is a Colorado based franchise, it doesn’t matter if you are a new user of Medicinal Marijuana, or even if you are long and experienced one, Herbal Health System will help you choose the most perfect and reliable doctor for you to get your treatment from. The Doctors who are linked with Herbal Health Systems provide a wide variety of services including pre-screening which will help you, along with very deep and prolonged one on one conversation to uncover what exactly your problems are, and how you might figure out a solution to treat it. Here, you will always be able to rest in peace, knowing that your health is in safe hands. But if you are absolutely new and still not a registered Medicinal Marijuana Users, then the doctors will also help you and guide you through the process of evaluation, and will recommend you which will make it much easier for you to obtain a Medical Marijuana Card, using which you will be able to enjoy all of the available treatments as well as possess a small amount of medicinal Marijuana with you.